Can treat green (wet) wood as well as dry wood. Controls both fungi and termites. Copper and zinc naphthenate based products can be safely used as fungicidal treatments for woods, canvas, jute, cork, burlap, cotton, hemp, etc. They offer outstanding resistance to cellulose rotting fungi, termites and wood-boring insects adding years of service to these items. WOLMAN Treat 00 wood preservative shall be used only for field treatment of previously WOLMANI ZED pressure treated lumber, piling or plywood to help protect against decay causing fungi and termite attack. It conforms to AWPA Standard M-4. Description Nytek 10WP is a water repellent formulation of copper-8-quinolinolate designed for the treatment of lumber by the dip or pressure process to control wood decay. For below ground use Nytek 10 WP will help prevent attack by wood boring beetles such as Anoblum punctatum Hylotrupes bajalus and Lyctus brunneus. 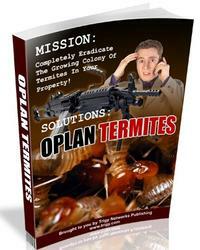 It will also help prevent attack by termites.